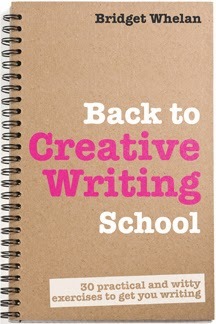 Fiction University: Guest Author Bridget Whelan: What do Creative Writing Exercises do for Creative Writers? Guest Author Bridget Whelan: What do Creative Writing Exercises do for Creative Writers? Join me in welcoming author/blogger Bridget Whelan to the blog today to discuss writing exercises and why not all of them are created equal. Bridget has taught creative writing to lawyers and journalists, teachers and nervous beginners who haven’t written since they left school, business leaders rushing from the office and youth club members too cool to rush anywhere. A lecturer in non-fiction at Goldsmiths College – the leading creative university of the UK – just two years after graduating from the MA creative writing programme, she is now teaches at many locations in south east England, including City Lit, the largest adult education centre in Europe. She has also been a guest writer in schools and Writer in Residence at a community centre serving the unemployed and low waged. Her own writing career was launched when she won first prize in an international short story competition. 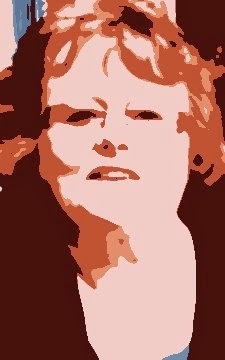 She was granted an Arts Council bursary to complete her first novel A Good Confession set in 1960s Ireland and London. British writer Kate Mosse, bestselling author of Labyrinth, says that writers ought to practice writing in much the same ways as musicians practice the scales. She is not alone in suggesting that if we are serious about writing we should treat it like a job of work, writing even when we haven’t got a story idea scratching at the inside of our skulls demanding to be written. We should write when we don’t feel like it. Write when we haven’t got time. Write when we don’t know what to write about, and it is here that creative writing exercises can become part of a regular routine. Not all exercises are equal though, as I was acutely aware when I started to edit BACK TO CREATIVE WRITING SCHOOL. I’ve developed a couple of hundred exercises over nearly 10 years of teaching at university and in adult education and community centers. The first exercises I discarded were those that only work well in a group. For example, I’ve created an exercise that interrogates Kurt Vonnegut’s fifth rule of writing: start as near the end as you can. Class members are asked to re-write Hansel and Gretel, but each one is given a different starting point, ranging from Hansel laying a trail of pebbles to Gretel pushing the old witch into the oven and the children meeting up with contrite Dad again. Those that are asked to start the fairy-tale after the gingerbread house stage would be justified in feeling that they have been given the sticky end of the lollypop, but it is their stories (or in reality part stories) that create the debate as we discover together just how far Vonnegut’s commandment can be pushed. Other exercises were jettisoned because I knew from experience that they sometimes require further reflection and explanation during the activity or that their primary purpose was to make people feel comfortable reading aloud in front of strangers. The ones that made the book had to work for a solitary writer with no guarantee of feedback. In addition, they also had to have a useful goal that would stay with the writer after the book was put away and forgotten. Some exercises aren’t so much writing as thinking with a pen in your hand. My suspense template fits into this category. It isn’t a test of writing skills, because there is no such thing as great template literature, but it is a good way of feeling the rhythmic flow of a story line. Other times, the exercise is designed to fling strange ideas together because it is the lucky accidents, the unexpected way two words rub against each other that can sometimes set the imagination alight. Exercises, however, are more than just a way of filling an idle half hour. Back to Ted Hughes again; he saw them as a testing ground, a call to action. Where “barriers break down, prisoners come out of their cells.” You can be flung in unexpected directions by an idea born in someone else’s imagination. Skewering that idea and making it your own, slicing it up and transforming it, is part of the apprenticeship scheme that all writers are enrolled in and which we never quite graduate from. So, to answer the question I posed at the top of this post, it seems to me that writing exercises have the potential to help us explore new ways of doing things and new ideas. The best of them help us to create and the worst make us hurl books and kindles across the room (not a good idea with latter) and reach for the wine bottle. I like Kate Mosse’s approach to the everyday routine of writing, but I’m not convinced her comparison altogether works. We are not like violinists who repeat the same sequence of notes in a search for perfection. Writers do the same thing again and again – describe falling in love perhaps or the color of blood – but each time it’s different. And it is in the difference that we find our art. Practice writing doesn’t exist: there’s just writing. Also we don’t do perfect. An ebook for writers: 30 exercises, 33,000 words and nine years of experience A book that builds confidence. With some exercises are designed to turn an idle 10 minutes into a productive literary workout while others have the guts and energy to unlock the writer within and produce novel length ideas. I loved this post; thank you so much!! To be quite honest, I particularly enjoyed your moving past the quasi-spiritual "nature walks" and the "you're in a world where" prompts. Yours are much more fun (laughing merchant, anyone?) and much more up my alley. Cheers to you, ma'am, and a Merry Christmas! Well that article was packed! I do get a lot of downtime and use it for writing in my head. Thank you for taking the time to show us something new. I think your article can help me a lot to improve my exercise and to advance my muscle. Thanks for sharing, if will definitely look forward to the book.